HONG KONG, 2017-Aug-03 — /Travel PR News/ — Wharf Hotels is delighted to announce the appointment of Mr Marcel Sawyere as General Manager for Marco Polo Lingnan Tiandi Foshan in China. A seasoned hotelier with a wealth of experience spanning over 34 years, Sawyere has held leadership roles in hospitality across Asia Pacific. A graduate of the University of Westminster in London, prior to his current appointment Sawyere was General Manager of Vinpearl Golf and Resort in Vietnam following management roles with Fairmont Hotels, Dusit International in Thailand and Wanda Hotels and Resorts in China. “It is a pleasure to take over the management of Marco Polo Foshan from Giorgio Olivotti who was recently promoted to General Manager of Niccolo Chongqing, scheduled to open in the coming months. 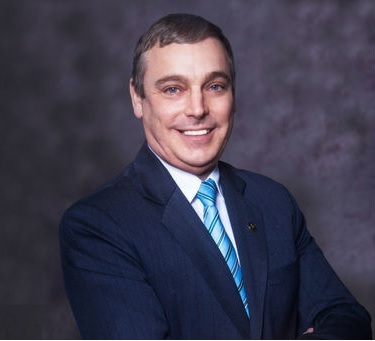 I am proud to join the Wharf Hotels family in the vibrant location of Lingnan Tiandi, Foshan’s shopping and entertainment hub, and plan to work with my team to continue showcasing the best of Marco Polo’s warm and welcoming hospitality,” said Sawyere. Sawyere enjoys keeping fit, playing badminton and walking. He regularly explores new restaurants and keeps abreast of travel news. Marco Polo Foshan opened in 2012 offering 390 guest rooms and suites all with private balconies overlooking the Ancestral Temple and Lingnan Tiandi neighbourhood. More information about the hotel is available at marcopolohotels.com. This entry was posted in Hospitality, Hotels, Travel, Travel Management and tagged Marcel Sawyere, Marco Polo Lingnan Tiandi Foshan in China, Niccolo Chongqing, Philippe Caretti. Bookmark the permalink.